MeetingPlay provides some of the most customizable apps on the market. Though we start with a common base, it’s up to you how you build on that, starting with design and layout. Each feature we offer can be developed to meet your specific needs and help you achieve your event goals. There’s a tremendous movement in the world of event planning. You’ve likely heard about it by now. Event organizers on a global scale are turning to mobile event apps to enhance their events, engage attendees, add value to vendors, and generate higher returns on their investments. But what exactly is a custom mobile event app? What do you need to know about this thrilling technology to put it to use for your next event? Here’s a quick guide to help you stay in the loop. 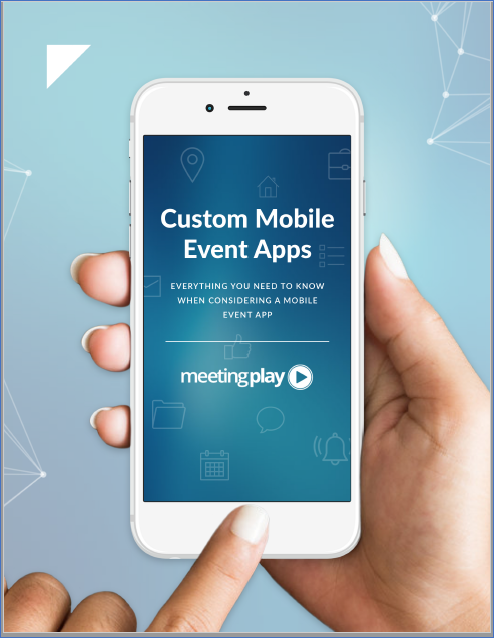 High-quality mobile event apps, like the ones MeetingPlay provides, use mobile technology to create intuitive, engaging, and information-rich solutions for your event planning challenges. It’s like having a social media app, a networking app, a navigation app, and a gaming app powering your event. Event attendee apps are feature-rich and work in tandem with your planning strategy. They allow attendees to utilize the mobile devices they use every day to stay informed, have fun, meet people, and find valuable content. If you apply it correctly, mobile conference app technology benefits everyone at your event, including you, your vendors, and your attendees. Read more here to see what your event looks like through the eyes of an event app user. Do you still have questions? Continue reading or contact us if you’d like to learn more about how mobile event apps can transform your events and help you improve your business. Why have meeting apps taken the event world by storm? In part, this explosion of interest is due to the variety of features they can contain. The versatility of mobile event apps provides customizable benefits for attendees, vendors, and organizers. The list above is only a sample of the functions available to you through top-tier event apps. Mobile event technology is designed to adapt to your needs and help you achieve your event goals using customizable elements. Discover all the amazing features available in a custom event app. To see a more comprehensive list of features and descriptions, you can read more here. Adopting new technology like custom event apps can be intimidating if you aren’t comfortable with advanced tech. You may feel like it’s more trouble than it’s worth to incorporate mobile apps into your event planning. Thankfully, nothing could be further from the truth. State-of-the-art event attendee apps are designed to provide comprehensive, effective, and in-depth planning solutions, while offering users an uncomplicated navigation experience. You can elevate every aspect of your event without creating additional hassle or headaches for your attendees or your agenda. Reduced Development Time – Mobile event apps can be customized to fit your needs and plans. The amount of time it takes to develop your app will depend on the details of your event. But white-glove mobile app providers like MeetingPlay streamline the process to reduce the amount of time it takes to design your app. Our account managers can guide you every step of the way so you can get back to planning your event in less time. Professional Setup Assistance – Mobile event apps are designed to match the specifics of your event. During the setup process, you’ll need to provide certain details to help create your custom app. The information you’ll need to provide can include branding details, general information, speaker bios, session tracks, attendee lists, and sponsor information. Again, when you choose a service-oriented provider like MeetingPlay, you can choose to work with a dedicated account manager to guide you through the entire process. This type of expert support eliminates guesswork and helps you gather the information you need in less time. Simple Administrator Controls – Are you concerned that you’ll lose control of your content and get bogged down in technical systems if you choose to use a mobile event app? Custom event technology won’t help you if you can’t manage it with ease, right? Don’t be concerned. The best conference apps provide easy-to-use admin content management systems. You can control your content, access reporting, gather information, and request support using a simple back-end dashboard. If you’re familiar with basic management systems or digital office suites, you’ll have no problem controlling every aspect of your event app. Engaging User Experience – It’s important for you to have easy-to-use admin controls for your custom event app. But it’s critical that your attendees can navigate the app easily and enjoy everything your event technology has to offer. The best apps are designed with your attendees in mind. The user interface is intuitive and simple to use, regardless of how tech-savvy your app users are. You don’t have to be an IT professional to add next-level technology to your event planning. You and your attendees will be in awe of how a mobile conference app can transform the atmosphere of your next event. Don’t let the fear of the unknown hold you back. Learn how easy it is to add mobile technology to your event. The event world is changing. Traditionally, event information, resources, and activities were presented to attendees on paper, or more recently, via websites. In fact, many organizers currently use these methods to plan their events. But your attendees’ expectations, your vendors’ requirements, and the needs of your business aren’t the same as they once were. To exceed your event goals, you need engaging activities, enhanced networking, efficient operations, and real-time feedback. You need a mobile event app. While you can do well enough using manual techniques or a website, you need the versatility and effectiveness offered by the best event apps to make your event a raving success, and to get a better return on your investment. Read more about why mobile apps for events are needed in addition to an event website. Going mobile can help you create an unforgettable experience for everyone involved. Your attendees will stay engaged, your vendors will love you, and you can get a better return on your investment while improving your business. Your attendees are already on their mobile devices. Why not meet them there? Use a mobile event app to elevate your next event. What makes your event unforgettable? How can you increase the chances your attendees will rave about their experience, stay engaged, have fun, and interact with your content and vendors? Adding technology to your event planning offers opportunities to add excitement, value, and uniqueness to your event. From basic features to more advanced functions, you can customize your app to provide the ultimate event experience for your attendees. Mobile event apps are designed to add value for your attendees. Mobile technology bolsters your planning to elevate your entire event. Create an extraordinary experience for your attendees using custom event apps. It’s clear that mobile apps for conferences can create an exceptional experience for your attendees. But what’s in it for you? You have a business to run after all. 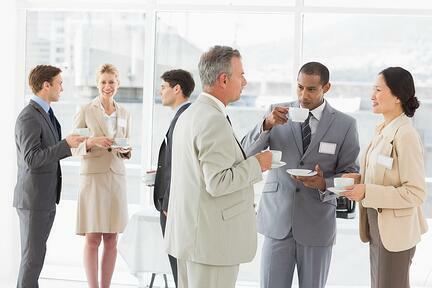 You need your event to be productive, popular, cost-effective and generate a return on your investment. You don’t need to worry. 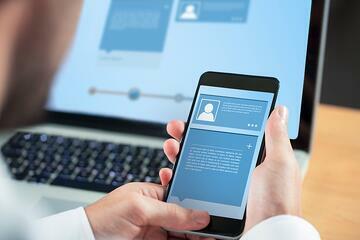 Mobile event technology can provide astounding benefits to event organizers, as well. Your app can be customized to support your vision and goals while helping you achieve greater success with your event. What obstacles do you face when planning an event? Custom event app technology may be the solution you need. Learn more about how utilizing a mobile event app can help you save money, impress your vendors and sponsors, improve your business, and help you create a better return on your investment. You don’t want to get bogged down with multiple apps and providers, each needing attention and management. Your goal is to simplify the process, not complicate it. In other words, you only need one app for your event if it’s the right one. For example, MeetingPlay includes several unique features in our mobile apps for conferences to make your life easier. Functions like single sign-on, live polling, and gamification are part of our event app platform that you may not find on other services. Using a single app, you can access our standard event features, as well as our more advanced technology. 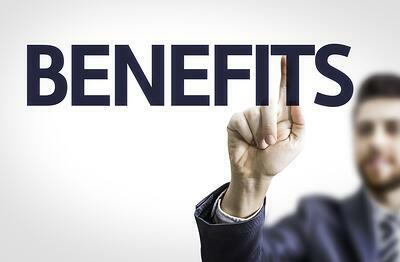 You want access to all the amazing benefits custom event apps can offer. But you don’t want to go through the hassle of managing multiple vendors and apps. Thankfully, you don’t have to. With the right guidance and tools, you can customize your event app to meet your needs without adding extra work to your busy agenda. Learn more about all-in-one mobile event apps here. You’re all-in on an event attendee app. You’re ready to amaze your attendees, improve your business, and take your events to the next level. But with the rising popularity of mobile event apps, selecting the best conference app and provider can be confusing. How will you know you’re getting the right level of service and technology for your needs? Does your event app offer the functionality and customization you need? What are your cost and service level expectations? Will you have the support and guidance to make sure your event app runs smoothly? How much time and effort will you have to invest to set up your custom event app? Does your conference app add value for your attendees and your vendors? Does your app provide an all-in-one solution for your event needs? 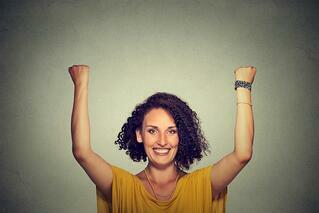 What are the goals of your event, and can a mobile event app help you reach them? How easy is it for you and your attendees to use your technology? Is your provider an innovator in the mobile event app space? These are critical questions to ask when you’re trying to select the right app and provider for your event. The technology you select should enhance your event and help you achieve your goals. Read a complete list of mobile event app best practices here.